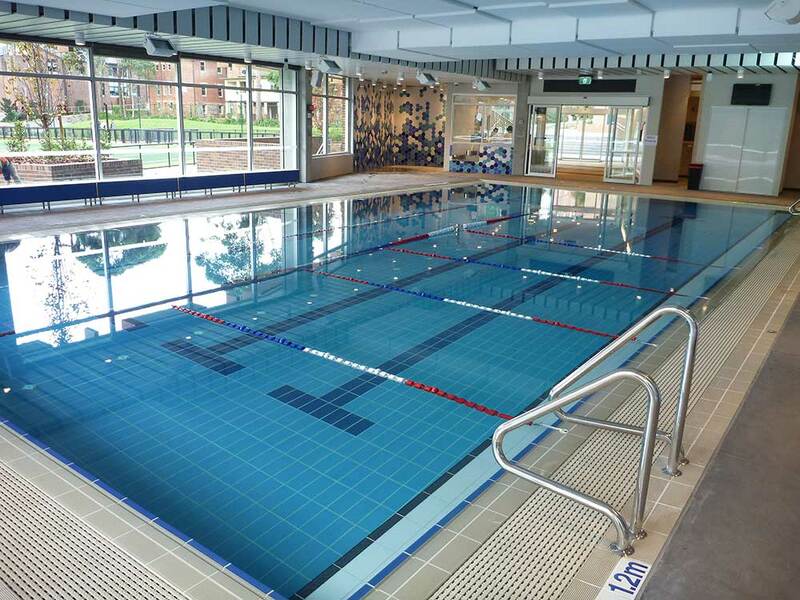 Pymble Ladies College multi-million dollar aquatic and fitness centre replaced the school’s old 50m outdoor pool as part of the school’s Centenary redevelopment. 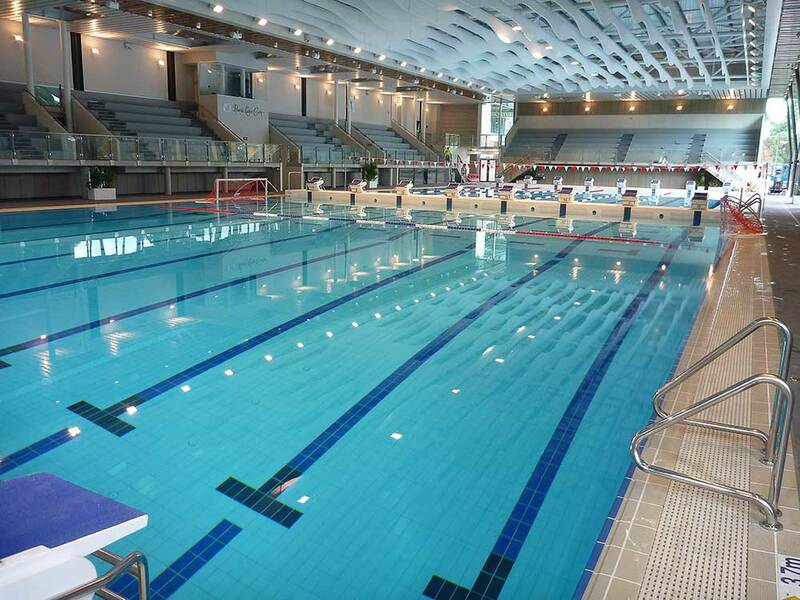 The new Aquatic and Fitness Centre includes a 50m heated indoor, eight lane swimming pool with multiple dive platforms, a large purpose built learn to swim pool, a multi-purpose fitness centre, incorporating strength and conditioning facilities, and consultation and remedial treatment rooms. 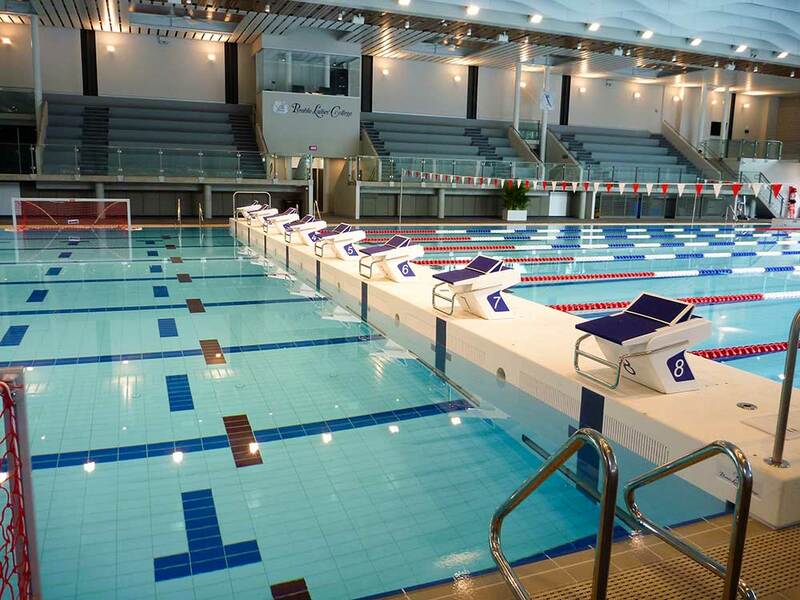 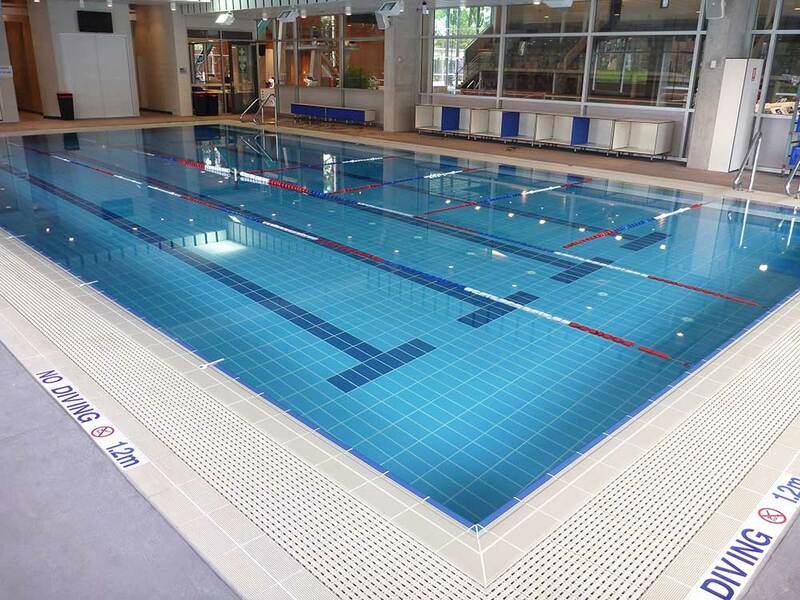 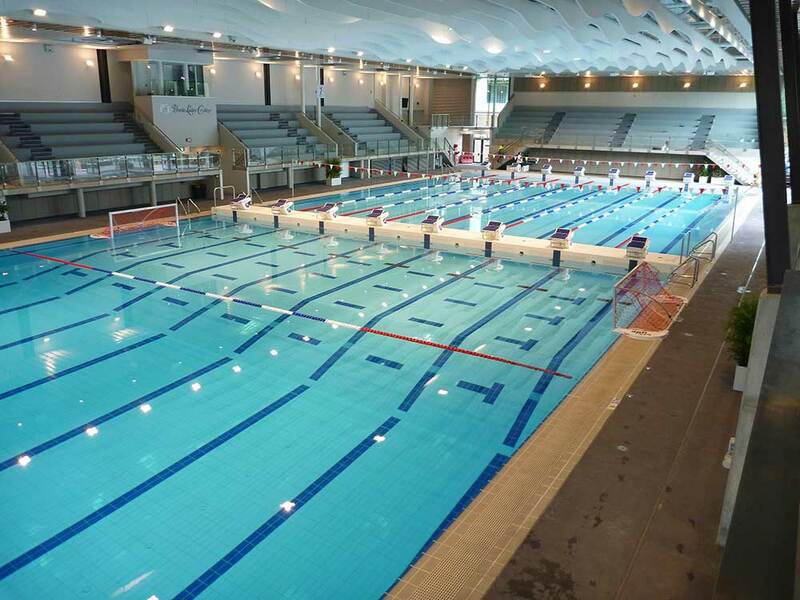 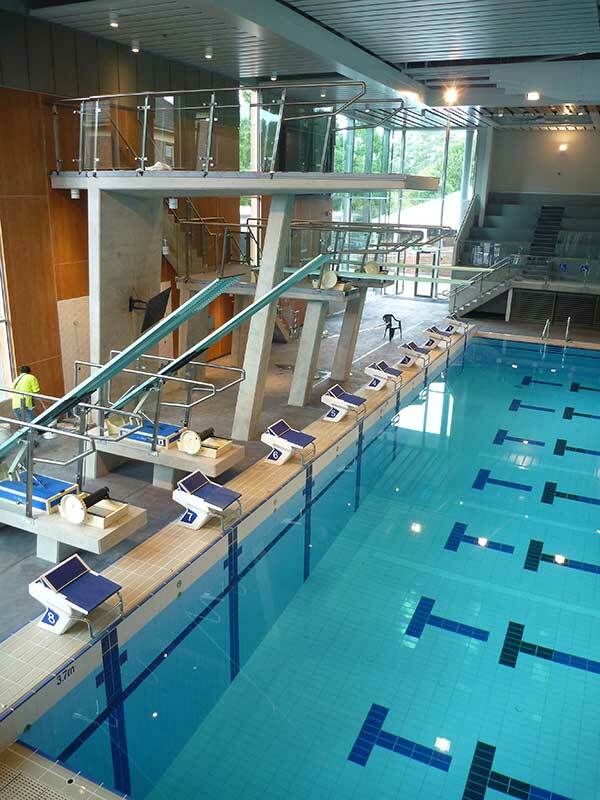 A fully tiled 8 lane 50m meets FINA standards for dimensions, lighting and water quality and a 25m x 15m training pool. 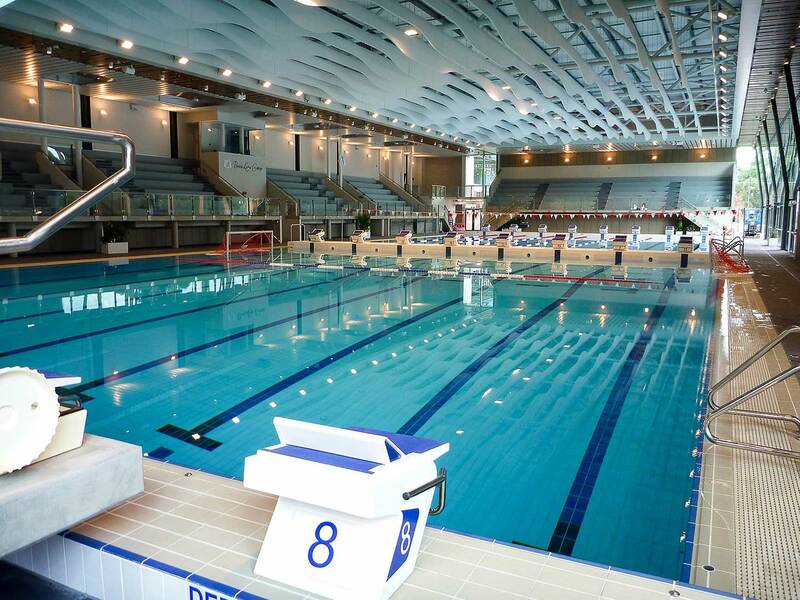 Conventional form and poured concrete structure.